Nature Art botanical garden flowers, woodland ferns are watercolor original paintings on paper by Laurie Rohner. 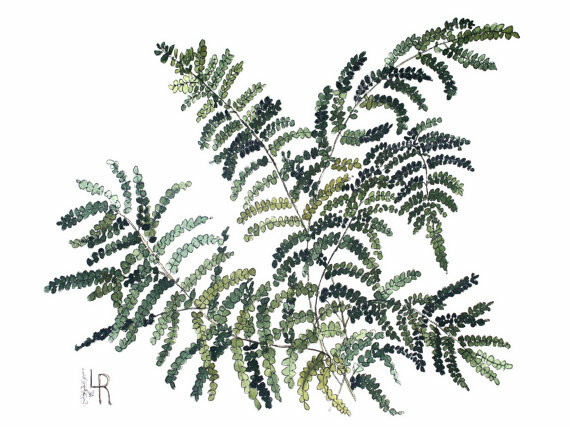 Fern botanical is an original watercolor painting of a botanical garden woodland fern. 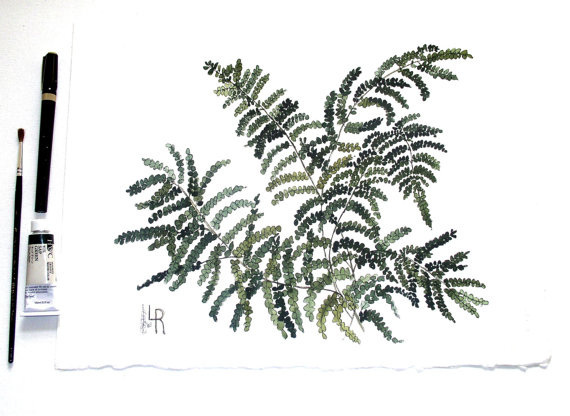 Titled Woodland Fern and is original artwork by Laurie Rohner. 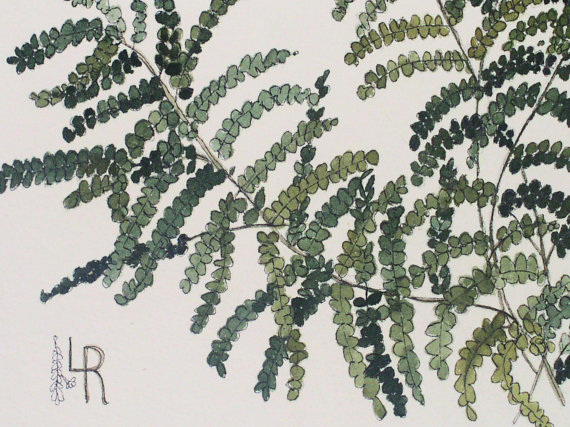 My painting is a detailed fern botanical garden illustration of woodland ferns. My watercolor illustration is my whimsical look of natural history showing the delicate and decorative leaves in varying shades of misty earthy greens from moss to gold and soft sage to deep green blue and deep grey. I love ferns and this painting reminds me of the sweet days in Vermont walking in the woods and the scent of ferns and new leaves in the air. What a joy. Great addition to upscale cottage farmhouse decor. Contemporary. Fits any 11 x 14 inch matte opening. I have added a new mark on the front of my illustrations and the back is signed and dated. Image size is approximately 10" x 13"
Paper size is approximately 15" x 11"